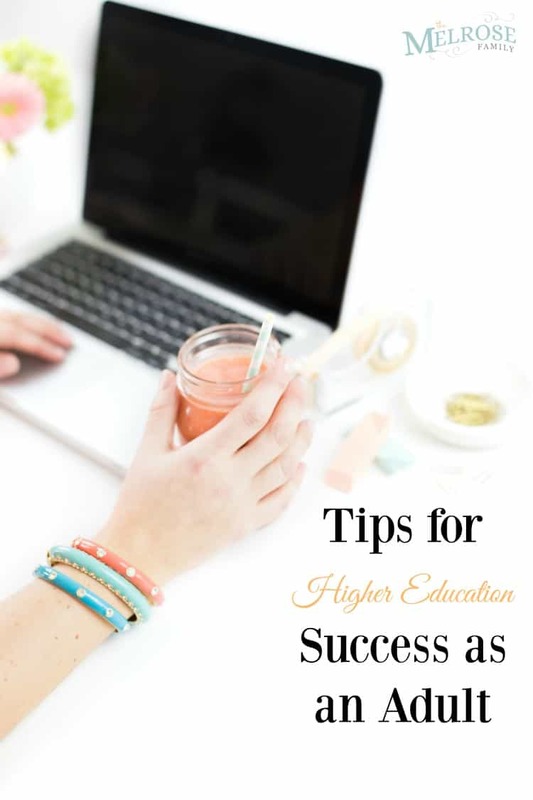 Are you thinking of returning to school for a professional pivot in your career or just wanting to finish something you started, but never finished? 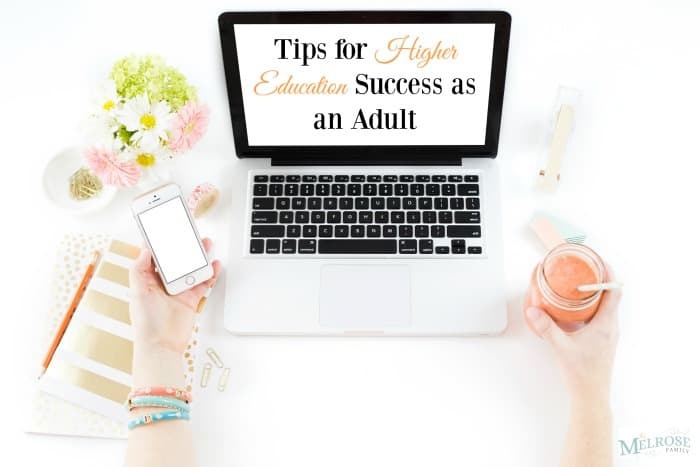 Both my husband and I went back to school as adults and we definitely learned a thing or two along the way, which is why our Tips for Higher Education Success as an adult are a surefire way to bring you success. After graduating with my bachelors and two years out in the “real world” I decided that I wanted to become a teacher so I went back to school to get my masters in education. I was still young enough that I would could work part time and go to school full time because we didn’t have any kids yet. My husband on the other hand, went back to school to finish his bachelors the year I became pregnant with our oldest daughter. I remember walking in circles around the dining room table singing her lullabies trying to keep her from waking my sleeping husband upstairs who had finals the next day. My husband and I were both thirty when he went back to school and it was definitely a culture shock for him. We survived and you can too! My husband went back to school just as we were starting our family. He knew that he wanted his future children to know that he had finished his degree. Education was something that we both valued and even though he doesn’t use his degree for his profession right now, we know that it made him into the man and father that he is today. The absolute worst thing you can do is to come out of school with student loans. Our generation looked at student loans as part of the college experience. It does not need to be that way. There are great schools, like Ashworth College, that offer affordable, practical educations. They have programs for RNs, early childhood education, and even vet techs. Plus, the Ashworth difference is that you can take the majority of the classes online so that you won’t have the added stress of travel. If you have a family and you are returning to higher education then you want to be sure to coordinate your school, work and family schedule. My husband continued to work part time while he continued his education, but it was difficult because he had to travel an hour and half one way just to get to class. If we could do it over again, we definitely would have chosen a college like Ashworth because of their distance learning opportunities. I definitely cried at my husband’s graduation. Watching him with my then one year old daughter with his cap and gown on meant so much to me. I knew he wanted to be able to finish his degree so that we could emphasize the importance of higher education as a unified front to both of our daughters. I made sure to celebrate his physical education degree with a Sports Graduation Party complete with a cake and decor surrounded by family and friends that supported us through the journey. I’ve often thought about going back to school as an adult. My oldest started college this year and told me I should just go with him! With all the online options though it’s hard to come up with excuses not too!